Beneficial Roofing is a trusted and reputed roofing repair company that provides unparalleled commercial and residential services in St. Louis, Missouri. We have established a reputation as a professional and respectable company you can trust with all your roofing needs, either for your home or your business. Our team of professional roofers are experienced and licensed in roofing repair services and are always on-call even when you’re faced with an emergency. When Do You Require a Roof Inspection? – Once or twice a year. – Before a forecasted strong wind, hail or storm. – Before getting your home on the market. Having to do any type of roofing repairs is always an arduous task. Particularly, this may be more stressful if you must climb up the roof to fix something up there. But luckily, you don’t have to do the repairs by yourself. You can have your roof inspection performed by a professional. The following are some of the benefits of professional roofing inspection in Saint Louis, Missouri. Large leaks are easy to detect but not with other small types of water damages that are impossible to find with your naked eye. The professionals are able to detect moisture damage plus issues to do with the structure of your roof which otherwise would have gone undetected and unrepaired. DIY roof repairs may be cost-effective for some time. But having a professional to inspect your roof is going to, in the long-term, save you a lot. The inspections may help you in detecting hazards, and this will spare you from paying a lot of money in future when it comes to repairing your roof. It will also help in protecting your valuables inside the home from damages. Since the roof suffers from various weather conditions, it’s inevitable it’s going to require repairs. The elements are continuously affecting the structure of your roof. But the processes are quite slow and they gradually happen. Therefore, there may be an existing issue with your roof for some long period of time prior to noticing it. But only an experienced professional may inspect the roof in such a way all unnoticed issues are going to receive their needed attention. Professional roofing contractors have the necessary knowledge and experience to identify and repair the damage. 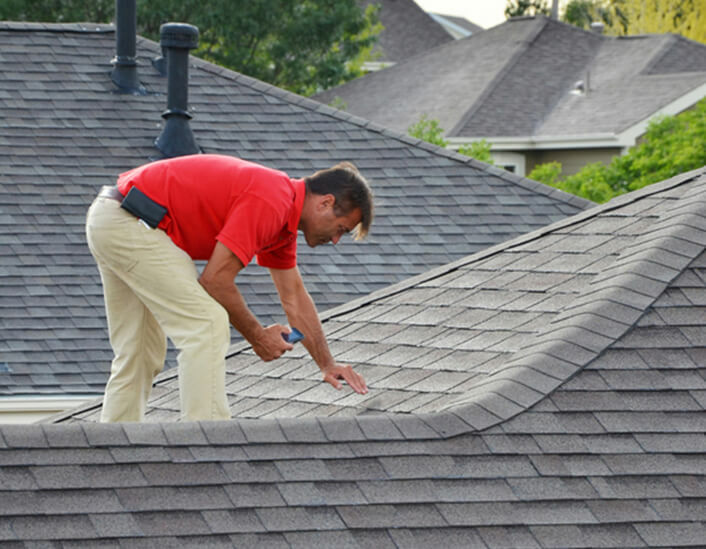 When your home has suffered a storm or there’s something that occurred and you need to lodge an insurance claim, then you may hire a professional roof inspector to evaluate carefully the damage. Insurance providers sometimes ask what type of damage the roof has. Therefore, it’s advised always to hire a roofing expert who will assist you concerning this. Through performing a routine inspection of the roof, you may mitigate damage which is occurring slowly in your roof. Note that regular inspections plus minor repairs will make sure the structure of the roof is going to last much longer. Through preventing damage, your roofing contractor will reduce the amount of time, money, and effort you’re potentially going to spend. You are also going to mitigate costly roof replacements and repairs. The above are just some of the benefits of regular roof inspection. They are going to help you save a lot of money in the long run, and help protect your house. Do you need roof inspection in Saint Louis, Missouri ? Do not hesitate to contact today Beneficial Roofing and we guarantee your roofing inspection and repairs are going to be done quickly and effectively!